Her match was a game warden. Experts say the protected animals were likely killed by fishermen. Authorities are also investigating the deaths of 113 sea turtles; they were found in the southern state of Chiapas earlier this month. Plastic bags, ropes, fishing nets and a drum were all found lodged inside the juvenile off the coast of southeast Spain. It's been a banner year for U.S. fishermen who seek Pacific bluefin tuna in southern California. Anglers not only found numbers of these amazingly engineered fish, but they also caught some of the biggest bluefin seen in decades. The news of these big fish has gone absolutely viral in fishing reports and social media. What is the future for billions of people around the world who depend on seafood for nutrition? Take the time to add your voice to those who realize the value in promoting ocean health and coordinating multiple human uses of our busy ocean. Throughout history, people living near any sea coast have relied on fish as a key dietary staple. Middens of kitchen and household wastes left behind on all continents provide strong evidence of the long and deep linkages between people of the shores and the sea. When it comes to the oceans and Pelagic areas, many of us, and some "conservation groups" turn a blind eye, by not putting the resources into notifying the public of the sustainability problems betraying the oceans. We must utilize economic stimulus, more regulation in developing world fisheries, and a higher barrier to entry for susceptible categories of farm raised fish to preserve sea protein as a cornerstone of survival. One day in 2014 a female eel set off from Nova Scotia on a long and hazardous journey to her spawning grounds. This was no ordinary eel. The tiny Maui's dolphin, whose evolutionary path has out-maneuvered that of the brainiest predator in the ocean - the killer whale - now faces near extinction at the hands of man. 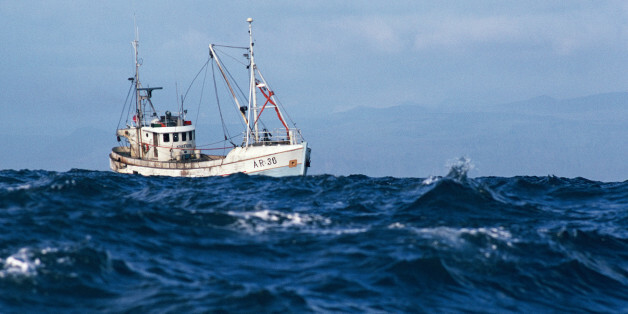 The certified seafood market raked in $11.5 billion last year, according to a new report.